In March 2013 GSE (the Public Company in charge of managing the incentives to renewable energies and energy efficiency in Italy) published the first comprehensive report on the penetration of renewable energies in 2013, including not only electricity production but heat and transport sector as well. 20,7 MToe of renewable energies were produced in 2013, with a share on the total gross national consumption of 16,7%. This share is very close to the 17% national 2020 target of the Directive 2009/28/CE. The main contribution (51%) derives from the heating sector, followed closely by the electricity generation. Far behind the contribution of transport. 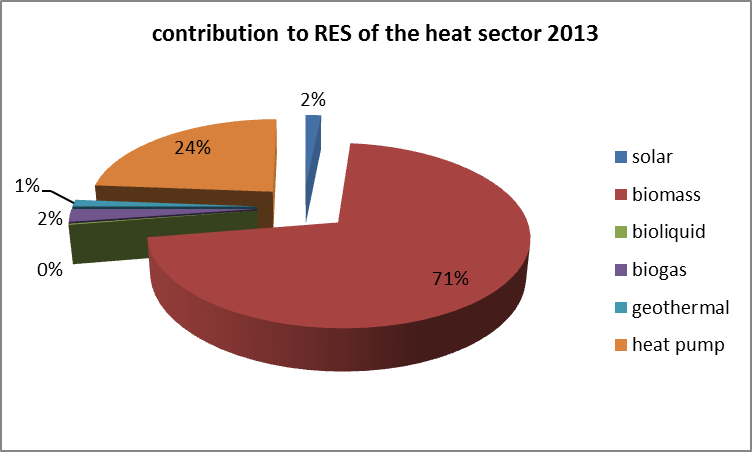 In details, for the thermal RES sector, solid biomass dominate the scene with a share of 71%, followed by the heat pumps (24%). Only 2% of the thermal RES coms from solar. 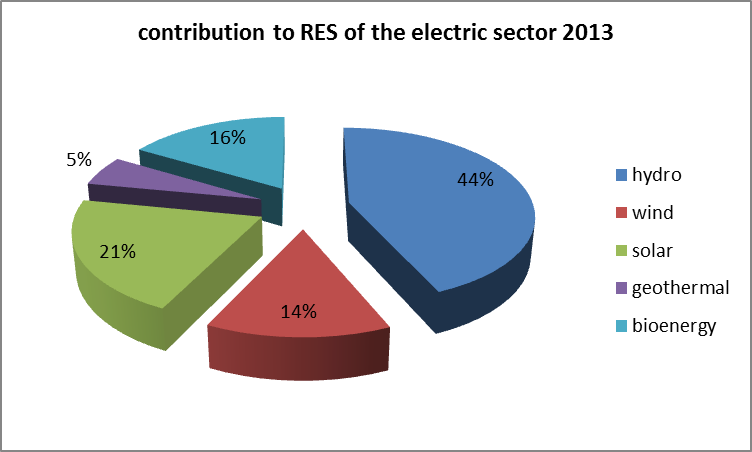 In the electricity sector, instead, solar energy has a prominent role, being the second most important RES source after hydro, with a share of 21%. 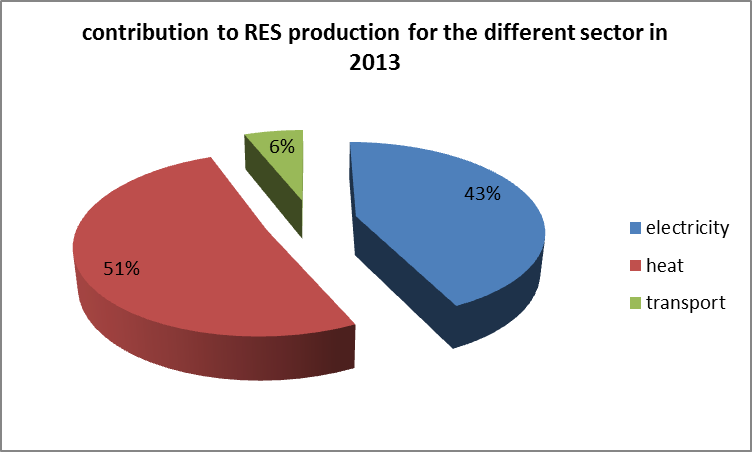 Data on RES generation in Italy in 2013 show an impressive acceleration in the penetration of RES to fulfill national energy demand. The EU target for 2020 have been almost reached seven year earlier. Progresses have been achieved not only in electricity generation but in the thermal sector as well, which proved to give the highest contribution. Some technologies, such as solar thermal, have much room for improvements. Finally, the good performance of Italy in meeting EU 2020 target is not only due to the progress in RE generation but to the contraction of energy demand, which is affected by the economic crisis and progresses in energy efficiency. Hoping that the economic recession will finally end in the next coming years, the role of energy efficiency will be of main importance.